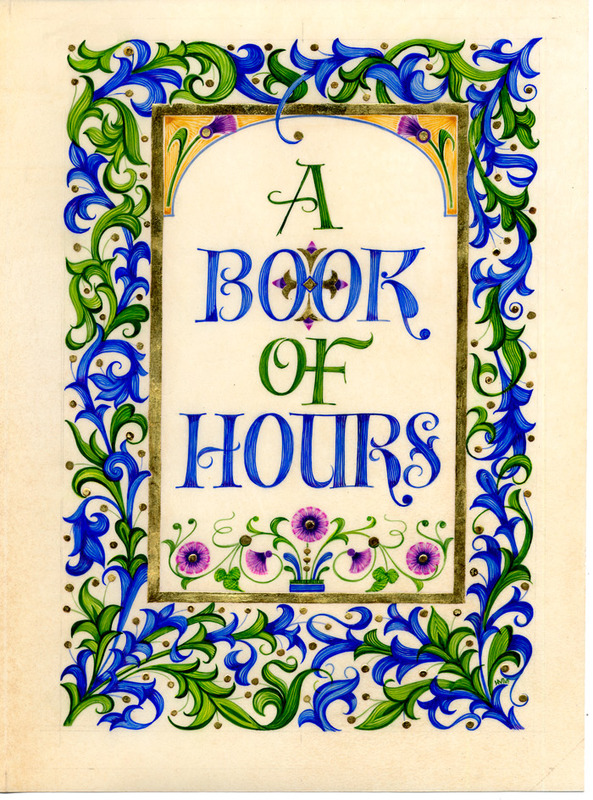 Book of Hours, 2005- present. A client-composed series of poems and quotations signifying the passing of Time, Seasons of the Year, Seasons of Life and Eternity. Manuscript vellum, 6.5 x 8.75”, 144 pages, 23k gold leaf, watercolor.